Chris Doyle trained as a microeconomist studying game theory and industrial organization for his PhD (supervised by Kevin Roberts, Oxford). 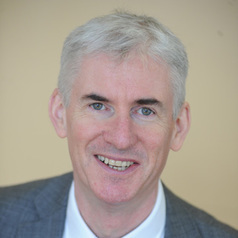 He has published a number of key papers in areas such as access pricing and collaborated with several leading economists, including Mark Armstrong, John Vickers and Sweder van Wijnbergen. He was also an editor of the CEPR series on Monitoring European Deregulation with Lars Hendrik-Roller. His recent publications have focussed on spectrum management issues, including pricing and valuation. He is a recognised global authority on spectrum management issues and co-authored the leading text on the subject with Martin Cave and William Webb which was published by Cambridge University Press. He presents lectures on spectrum economics around the world and was Chair of the ITU's programme on 3G licensing. In January 2001 he designed and help implement the world's first successful clock auction for radio spectrum in Abuja, Nigeria. Chris Doyle has extensive experience at the highest level, including many briefings for CEOs of major companies in telecommunications. His approach to the supply of microeconomic consulting services is made accessible without compromising rigour and this appeal makes his outputs desirable to clients. Operating independently as Apex Economics for over ten years he has supplied services in over thirty countries, delivering more than 100 assignments. Expert services are supplied on a bespoke basis often involving close liaison with clients. Chris has also undertaken numerous public speaking engagements on a variety of topics and made many media appearances on radio, TV (including BBC News, CNN, CNBC, etc.) and the press. Currently based at Warwick University in the top ranked Economics Department. He has previously held posts in Cambridge University, London Business School, London School of Economics and visiting posts at Charles University (Prague), INSEAD and Queen's University, Canada.